This article provides a peek at one of the six-part healthcare installments and provides an overview of the due diligence imperative for valuation professionals, in the context of the Four Pillars of Healthcare Value, i.e., Reimbursement, Regulatory, Technology, and Competition. The second, third, and fourth installments, already published, reviewed the due diligence process related to the reimbursement, regulatory, and competitive environments, respectively. This fifth installment reviews the due diligence process as it relates to technology in the healthcare industry. For more detailed information, see the July/August issue of The Value Examiner. Intangible Assets in Healthcare Entities: Value or No Value? This article provides a peek at one of the six-part healthcare installments and provides an overview of the due diligence imperative for valuation professionals, in the context of the Four Pillars of Healthcare Value, i.e., Reimbursement, Regulatory, Technology, and Competition. The second, third, and fourth installments, already published, reviewed the due diligence process related to the reimbursement, regulatory, and competitive environments, respectively. This fifth installment reviews the due diligence process as it relates to technology in the healthcare industry. For more detailed information see the July/August issue of The Value Examiner. Technology should be construed in its broadest sense when applied to the healthcare industry. 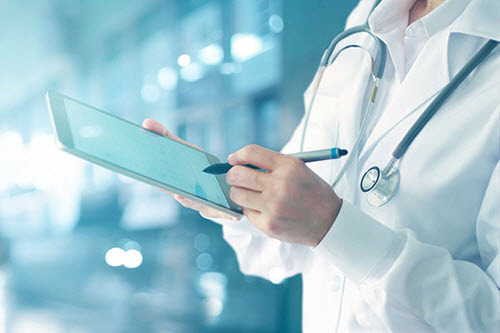 Not only does it include the tangible tools, pharmaceuticals, and software that providers use during the provision of clinical services, but technology can also refer to the management of patient records, as well as the procedures that constitute the standardized course of care. Medical technology should not be limited to the sophisticated machinery used by doctors to treat patients and map different parts of the body but should also encompass the complex systems used to collect, maintain, and analyze patient data and various other processes. The technologies represented by these processes help improve patient clinical outcomes (and help physicians treat patients more efficiently), as well as enable cost reduction without compromising the quality of care. As noted above, specific research is typically collected from the subject interest being appraised, and the appropriate contact designated by the client, e.g., chief information officer (CIO), chief financial officer (CFO); or legal counsel, when pertinent. As the requested documents and information are gathered, an engagement-specific database may be useful to appropriately account for the data in a manner that adequately identifies, classifies, and stores it, so that it may be timely and efficiently retrieved for use in the Individual Case Study Report (ICSR). As this research is client and project specific, the documents and the information required may change depending on the facts and circumstances surrounding the engagement. The healthcare industry has experienced paradigm shifts over the past several years due to the growth in the number of healthcare technology companies, led by the 2007 public listing of Athena Health, a medical software company whose shares jumped by ninety-seven percent on the first day after the initial public offering (IPO). Additionally, the healthcare industry is constantly changing with increased emphasis on advancements and utilization of new technologies. For instance, the revenue stream of an enterprise may be dependent upon a specific technology, new sources of competition may arise from the development of new and improved technologies that render the old methods obsolete. For example, the introduction of Nexium, “The Purple Pill,” which revolutionized the treatment of bleeding ulcer patients, significantly reduced both the need for surgery and the length of hospital stays, thereby diminishing patient demand for surgical services from gastroenterologists and permanently affected the cottage industry of ambulatory surgery centers that had flourished prior to the introduction of Nexium. In performing the requisite due diligence for a healthcare enterprise, an analyst should undertake research to identify any potential future advancement that may disrupt (or enhance) the revenue-generating capabilities of a subject enterprise. The emerging technology in the clinical treatment of patients will also shape the reimbursement environment that rewards providers based on quality over quantity. For example, the growing importance of the value-based reimbursement may bring about an integrated management information technology system that includes data input by the patient, provider, and payor. Owing to the increase in medical technology companies, as well as technological changes and regulations introduced by the 2010 Patient Protection and Affordable Care Act (PPACA), healthcare transactions are increasing in both size and complexity, resulting in emboldened efforts at regulatory review, requiring that the analyst seek and obtain robust general and specific research data and information in conducting a complete and thorough due diligence process (that will withstand scrutiny) related to the subject property interest being appraised, whether an enterprise, asset, or service. This article is published here with permissions and can be viewed in its entirety in The Value Examiner, July/August 2018 issue. Healthcare Valuation: The Financial Appraisal of Enterprises, Assets, and Services By Robert James Cimasi, MHA, ASA, FRICS, MCBA, AVA, CM&AA, Volume 1, Hoboken, NJ: John Wiley & Sons, Inc., 2014, p. 2. “Athena IPO soars ninety-seven percent” By Lynn Cowan, The Wall Street Journal, September 21, 2007, https://www.wsj.com/articles/SB119033555918634637 (Accessed 1/4/18). Healthcare Valuation: The Financial Appraisal of Enterprises, Assets, and Services By Robert James Cimasi, MHA, ASA, FRICS, MCBA, AVA, CM&AA, Volume 1, Hoboken, NJ: John Wiley & Sons, Inc., 2014, pp. 496, 499. Todd A. Zigrang, MBA, MHA, ASA, FACHE, is president of Health Capital Consultants, where he focuses on the areas of valuation and financial analysis for hospitals and other healthcare enterprises. Mr. Zigrang has significant physician-integration and financial analysis experience and has participated in the development of a physician-owned, multispecialty management service organization and networks involving a wide range of specialties, physician owned hospitals as well as several limited liability companies for acquiring acute care and specialty hospitals, ASCs, and other ancillary facilities. Mr. Zigrang can be contacted at (800) 394-8258 or by e-mail to tzigrang@healthcapital.com.